Badugi is a fairly new and special draw poker game. Despite not being all that well known, occasionally you will see some of poker’s biggest stars playing it and talking about it. It is a draw poker game that is usually played with betting limits. Badugi is also a lowball game, meaning the lowest hand wins the pot – however, it is very unique in some ways. For example, suits make a huge difference for the low hands. In fact, only one card from each suit can count at showdown. More on that later. Also, in Badugi, a player only has 4-card hands. In almost every other poker game, a hand consists of 5 cards. Badugi is part of some popular mixed games. Although it doesn’t have its own tournament per se at the WSOP, it is featured in the Dealers Choice events as well as in the Triple Draw Mix. You can also find Limit Badugi in the PokerStars cash game selection. It is surprisingly popular, perhaps thanks to its uniqueness. Don’t expect NLHE or PLO-level action, but you will able to find a couple of tables with a game going (lowest stakes are $0.25/$0.50), which is more than you can say about a lot of the other poker types. Badugi is usually played with the classic big blind-small blind structure. This means each hand starts with the small blind and the big blind posting blind bets. The small blind is usually half the amount of the big blind. The blinds are always the players sitting to the left of the dealer button. The action starts to the left of the BB, at the position called “Under the Gun”, or UTG for short. Each player is dealt four cards face down. The UTG speaks first. They have the option to either call the blind, fold or raise. If they fold, their cards are dead and they give up the pot. If they raise, the other players need to put the raised amount into the pot to stay in the hand. If no-one calls, the last raiser wins the pot. If there is at least one caller, the hand continues. After the first, the pre-draw betting round, players can discard 1-4 of their cards and draw 1-4 new cards. They can also draw no cards at all, often referred to as “stay pat”. Another round of betting follows. After that, players can choose to draw once again. On this street, however, the betting limit doubles. 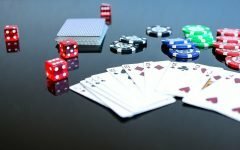 Now players can place a so-called “big bet”. The last draw is the third one, followed by the last betting round. The showdown comes next. The 4-card hand with the lowest high card wins the pot. This makes Badugi different from other lowball poker types – only one card from each suit counts. If you have four cards from all different suits, you have a Badugi. The best is a 4-low Badugi (A234, all off-suit) while the worst is a King-low Badugi. The Ace is always low. If you have a 3-suit hand you don’t have a Badugi – but you can still win a hand. 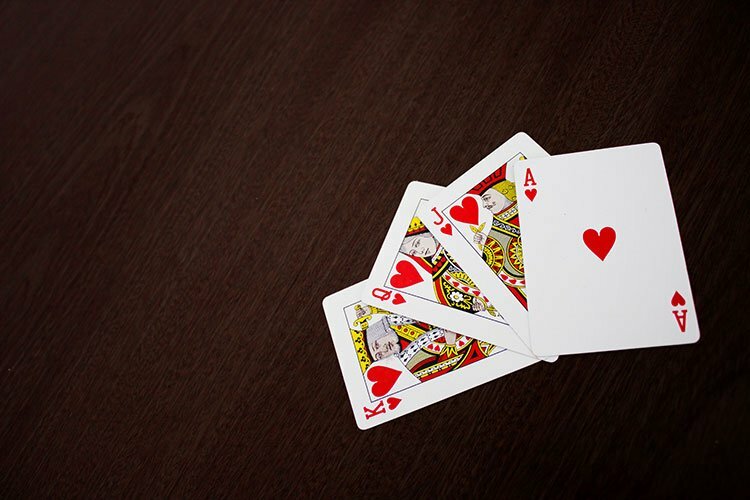 Now you have a 3-card hand – one card from each suit – which loses to any 4-card hand but can beat other 3-card hands. If, let’s say, you have Js7s6c4d, you’re holding a 7-low 3-card hand. You can beat KhQH2s3c, for example, but you lose to KsAc9h8d, a King-low Badugi. 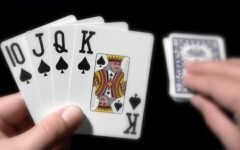 Same goes for 2 and 1-card hands – because they are almost never good at showdown, we suggest folding or bluffing rather than calling them down. If the players run out of cards to draw at any point in the hand, the discarded pile is reshuffled and dealt again. In Badugi, just like in other draw games, you try to put your opponent on a range based on how many cards they are drawing and on their betting habits. You need to assess how much equity your hand has against their range and put money in the pot accordingly. There tend to be a lot fewer hands going to showdown in Badugi than in other draw games. This is because having 4 cards from the 4 different suits is quite rare, yet players don’t like to call down on the last street with anything less than a Badugi. You can of course exploit that. If you’re in position and you see your opponent drawing in the last round, you can stay pat, place a big bet and expect to get some folds. However, be aware of your betting frequency – if you do that too often the others may be willing to call more often. Overall, people tend to play Badugi tighter than other draw games, meaning they fold more hands pre-draw. This seems to be advisable to everyone. Staying pat with a weak hand to indicate strength and then bet as a bluff is a move called “snowing”, often used in all kinds of draw games. Please note that Badugi is almost always a limit game – that means that by the end of the hand usually you can’t help but give your opponent pretty good pot odds. 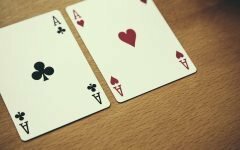 Competent players will probably realize that and call you down with a wider range, even with 3-card hands. Badugi likely originates from South Korea. The name of the game means “black and white spotted dog” in Korean. The game Go has a similar name in Korean, “baduk”, derived from the same word. The game gained some popularity in the early 2000’s when PokerStars added it to their selection and used their famous ambassadors, such as Daniel Negreanu to promote it. They also hosted the first WCOOP (World Championship of Online Poker) Badugi tournament in 2009, won by Raymond Davis. Evidently, the game itself has been played live for much longer, most people believe since the 1980’s in Korea. Some claim that they saw it being played in Canada in the 80’s under the name “Off Suit Lowball”. Badugi does not have its own WSOP event per se, but it is featured in the Dealers Choice and the Triple Draw Mix mixed game tourneys. Many famous players have talked about playing Badugi with fondness. Jean-Robert Bellande, high stakes cash game pro, said in an interview once that it is one of his favorite games to play because it’s fairly new and therefore his opponents tend to make mistakes more frequently than in the more established poker games. German poker pro George Danzer gave a full interview once just talking about Badugi strategy. “KidPoker”, Daniel Negreanu also mentioned the game publicly multiple times. As we wrote earlier, Badugi is included in two World Series of Poker mixed game events. In 2018, the $2,500 Mixed Triple Draw event was won by Johannes Becker for $180,000. The $10,000 Dealers Choice was won by Adam Friedman for $293,275.